What are Differences between JN0-680 and JN0-681 Exams? News from Juniper official site, Data Center, Professional JN0-680 exam will end of life on April 10, 2019, the new replacement test is JN0-681. So from April 10, 2019, you need to take Juniper JN0-681 exam to earn JNCIP-DC certification. 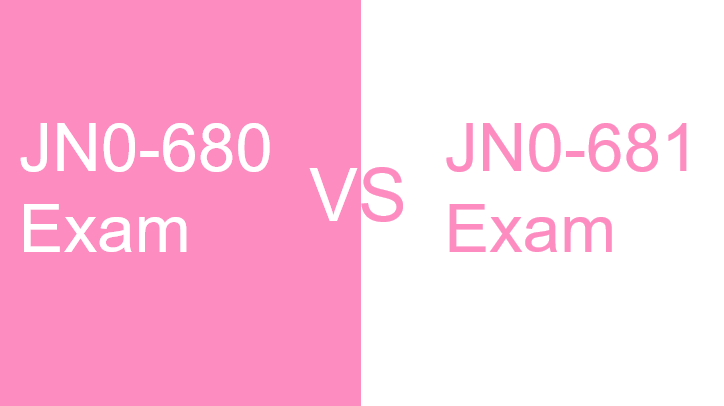 Before you decide to take Juniper JN0-681 exam, you can review the differences between JN0-680 and JN0-681 exams. I collected their exams topics from the official website. Share them below. From the above table, you can check the differences between JN0-680 and JN0-681 exam topics in red color. To take Juniper JNCIP-DC JN0-681 exam, you also need to the basic information. In real Data Center, professional JN0-681 exam, there are 65 multiple-choice questions, and you have 120 minutes to complete the test. After you finish the test, the result is available immediately. This Juniper JNCIP-DC JN0-681 written exam verifies your understanding of data center technologies, related platform configuration, and troubleshooting skills. Our new cracked Juniper JN0-681 exam dumps questions can give a guarantee to pass the test.